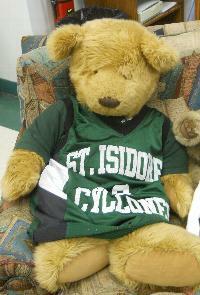 We are the Catholic educational community of St. Isidore, planting, cultivating growth and sharing with children the kingdom of God. We are teaching the heart of the matter as we lead children into the heart of Jesus. We want to create a “way of life” rooted in Christ and the gospel teachings. We try to teach as Jesus did. The future of the Catholic Church lies in our youth. It is our responsibility to encourage the development of each child’s God-given gifts through the Gospel message, through service to others, through a sense of community and through worship. We strive for academic excellence in a Christ-centered community. We celebrate the diversity of all God’s world. We recognize parents as the primary educators of their children and we have an obligation to foster this parent partnership in support of student progress, growth and learning.